The author bares her breasts, her heart, and her soul in this provocative memoir about being turned inside out through the journey of motherhood. She delves into the depths of what it means to be a mother, sharing her unusual relationship with her son, her longings to have another child, and her well of creativity that is fed through her mothering. Throughout, she remains grounded, generous, and grateful. 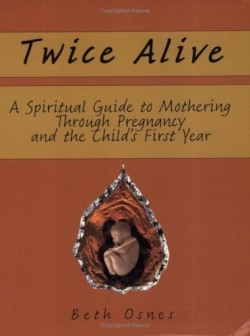 Osnes offers readers a traveler’s theme for each stage of her pregnancy. She devotes a section to each trimester, including information on “what to watch for on this leg of the journey,” well-written journal entries, spiritual reflections, and practical suggestions for women who are on the same voyage. With a PhD in Theatre, Osnes wrote Acting: An International Encyclopedia. With a Fulbright Scholarship, she conducted field research on shadow puppet theatre in Malaysia. With three friends, she founded Mothers Acting Up, an organization dedicated to summoning “the gigantic political strength of mothers to ensure the health, education and safety of every child.” Osnes currently teaches at the University of Colorado. In the second part of the book, Osnes shares how she took her mothering onto the stage in her one-woman show, The Mother Load. She also tells the story of her journey to South Africa, where the daughter she and her husband adopt was born. “Parenting is a public art,” writes Osnes. Women share mothering when they walk around with big pregnant bellies, breastfeed on a park bench, or give goldfish crackers to their toddlers in the grocery store. Osnes has taken her personal life and chosen how she wants readers to see it. In this book, she offers her examined life and readers are changed in her presence.